1- How is mold formed? Mold usually begins forming when walls or ceilings in a house become moist. This is because the spores that form mold begin to build up on moist surfaces and therefore turn into the mold. Mold usually forms in the winter when the house is damp, especially if water is leaking from the ceiling or there is a leakage problem in the house in general. Mold can also form in any other season and usually builds up in bathrooms when the ceilings or walls attract moisture from the steam that is formed when one showers with hot water. It is helpful to ask an inspector how exactly mold is formed to gain a better understanding in order to prevent the formation of it in the future. 2- How can mold damage our homes? Mold can damage a home in many ways. First of all, mold can affect the physical appearance of a home. This happens when the build-up of mold on walls or ceilings is enough so that it is visible to the human eye. This can cause an unpleasant appearance of smoky gray or green mold on the ceiling and it begins to increase if not treated to the point where it may cover the entire ceiling or wall. Another way mold can damage a home is by damaging the internal structure of it. Mold is known to feed on wood, paper, glue and fabrics which means that it may gradually eat away the making of one’s home. This literally means that it can begin to eat away walls or the ceiling. If mold is left untreated for a long period of time, it may eventually cause a ceiling to collapse. Mold can even build up inside heating or cooling systems and apart from the damage that may cause to the system, mold can even be blown away through the air that leaves these systems causing it to live inside the dust of our homes. No one wants to see that happen in their home! Asking an inspector about how exactly mold affects our homes will paint the picture needed for us to continually take care of our homes and will make us become more aware of the problems it may cause to us. 3- How can mold damage our health? First of all, the availability of mold in our households attracts many unnecessary, unwanted harmful bacteria and insects into our homes including dust mites. These alone have been proven to be very harmful to the human health. But apart from that, mold alone has been proven to cause many negative health conditions such as continuous coughing due to throat and chest irritation, skin irritation which may cause continuous itching and even allergies and infections. Mold is created from fungus which is literally poisonous to the human body, therefore it should be avoided and treated immediately when detected in any household when possible. 4- What is the best way to get rid of mold? It is possible that one treats mold alone when needed by spraying vinegar or other treatments on the mold surface then wiping it off. However, one may not necessarily clean the mold properly and that may cause it to show up multiple times again in the future. This is why it is best to get mold treated professionally and that can be done easily by contacting a mold inspector or technician. 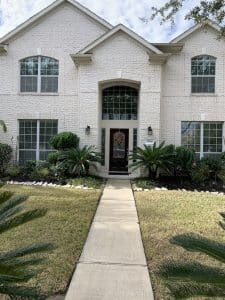 First, a mold inspector will inspect the entire household and find all the places that the mold has affected in order to get rid of it entirely. Also, an inspector can inspect the root of the problem and discover where the mold began to reproduce in order to clean it from the roots. A mold technician will also allocate the moisture in one’s home where mold is prone to build up and treat that as well. Even though mold can be treated temporarily by a home owner or resident, it is best to seek professional help to guarantee that this problem will not appear once more in the near future. Since mold has many damaging side-effects to a house as well as to our health, it is worth seeking professional help when affected with this particular issue. 5- How can we prevent mold in the future? Since mold is mainly created by moisture, preventing mold begins with preventing moisture in one’s home. This can be done by preventing humidity in a home and constantly keeping it cool when needed. Moisture should also immediately be dried away. This can be done by making sure that there are no damp fabrics in one’s home such as carpet, rugs, towels or cloth in general. Dry walls must be dried immediately as well. It is best to avoid damp walls to begin with, and one can do this by making sure that bathroom and kitchen windows or fans are turned on after using hot water in order to prevent the moisture from being sucked into the walls and ceilings. A mold assistant can explain techniques to prevent mold formation in a more detailed manner for anyone who is suffering or is afraid to deal with this problem in the future. To wrap it up, mold is something that no one wants to or should deal with at all. Apart from harming and wrecking our homes and destroying the appearance of them, mold can be a huge risk on our health and the health of our families. Therefore, when mold appears, even in the smallest amounts, it should be treated immediately by a professional. The questions above should be asked in order to fully understand the causes and effects that mold may have on us and to know exactly how to treat and prevent this problem in the future.